TRIATHLON IS SUCH A GREAT SPORT AND LIFESTYLE FOR SO MANY PEOPLE. WE HOPE YOU ENJOY AND BENEFIT FROM YOUR ORDER. AS OUR THANKS TO YOU, PLEASE REQUEST THIS FREE GIFT, A MENTAL TRAINING MANUAL WE CREATED FOR ATHLETES AT THE HIGH ALTITUDE ENDURANCE CAMP, 2011. Craig grew up in Wyoming where he competed as a wrestler. In 1995 after a devastating knee injury, he was introduced to the amazing world of endurance athletics, and by 1996 had run his first marathon. In 1998 while earning his secondary teaching degree, he began coaching endurance athletes in many different areas including triathlon, duathlon, running, cycling, cyclocross, and swimming. In 2001 Craig moved to Longmont and began working closely with the Boulder Center for Sports Medicine. He became “a fly on the wall” and soaked up all of the knowledge of endurance sports coaching he could. These opportunities opened his eyes to amazing training methods and motivated him to become a professional multisport coach. In 2004, Craig left the teaching world and began the Howie Endurance Project. Craig and Jennifer met while in college at the University of Northern Colorado, were married in 2001 and have two young boys. Managing family, work and training has given Craig great insight into how to balance sports with the rest of life. In 2009, Craig qualified for his professional license in triathlon and raced for two years as a pro triathlete. Due to injuries sustained during a bike accident Craig was forced to stop his pro career and made the transition into Ultra Running. 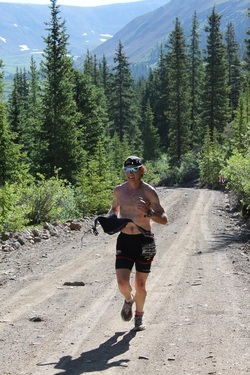 Craig Howie on the way to first place overall in the Leadville 50 Silver Rush, 2011. Will Murray is a five-time Ironman finisher who received USA Triathlon All American honorable mention in 2011 in the 55-59 year Age Group. Will also has a USA Triathlon Level 1 coaching certificate, and a practitioner certification and more than 100 hours of advanced study in Neuro-Linguistic Programming (NLP). Will has worked with hundreds of athletes, students and non-profit and business leaders to enhance their personal performance and has worked with more than 450 non-profit organizations in 48 states, Australia, Canada, Chile, China, Indonesia and Kenya. Will races for Justin's Nut Butter and is a Denver Triathlon brand Ambassador. Will is the author of another book, Uncle: The Definitive Guide for Becoming the World's Greatest Aunt or Uncle. Will Murray at Ironman St. George, 2011. Murray, Will and Craig Howie. Training versus practice. August, 2012. www.tri-magazine.net p. 76. Murray, Will. Elation and disappointment at Leadville 100 trail run. August 29, 2012. Murray, Will. Advanced Techniques for Accelerated Recovery Time. April 20, 2012. Howie, Craig and Will Murray. Race in Your Favorite State. Tri-Magazine.net April, 2012, p. 112. www.tri-magazine.net. Murray, Will. Remembering Not to Forget to Rehearse. Boulder Triathlon Club Newsletter, December, 2011. Murray, Will and Craig Howie. Free Speed from Quick Transition. Tri-Magazine.net October, 2011, p. 70. www.tri-magazine.net. Murray, Will and Craig Howie. See Your Way to Better Results. Tri-Magazine.net September, 2011, p. 73. www.tri-magainze.net. Murray, Will. 2011. Sound Sleep the Night Before Your Race. 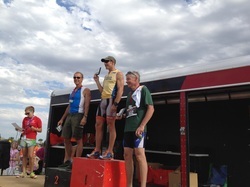 Boulder Triathlon Club Newsletter, September, 2011. Murray, Will. 2010. Use Your Race Experience To Shine as a Volunteer. Boulder Triathlon Club newsletter, October 30, 2010. Pre-race Clinic for First-Time Triathletes. Denver Triathlon Expo, Denver CO. June 9, 2012. Mental Conditioning for Endurance Athletes. With Craig Howie. Boulder Parks and Recreation Department. May 23, 2012. Fast Transitions for Triathletes. With Craig Howie. Boulder Parks and Recreation Department. May 21, 2012. Climber’s Forum. Moderator for Lynn Hill, David Graham, Daniel Woods climber panel at All Sports Recovery Club. May 3, 2012. Get Your Head Around Swimming. Boulder Aquatic Masters. February 15, 2012. Mental Conditioning. 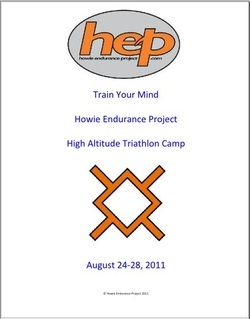 Howie Endurance Project High Altitude Triathlon Camp. August, 2011. Buffalo, WY. Train Your Mind: Vital Mental Skills for Enjoying and Succeeding at Triathlon. University of Colorado Triathlon Club. April, 2011. Boulder, CO. Train Your Mind: Vital Mental Skills for Enjoying and Succeeding at Triathlon. City of Boulder Parks and Rec Department and Flagstaff Youth Triathlon Club, February, 2011 and March 2011. Boulder, CO.